This is my first post after a 6 month hiatus so forgive me if I’m rusty, Juggalos and Juggalettes. Other acts include Lamb of God, All That Remains, Jonathan Davis, Puddle of Mudd, WhiteChapel, CKY, Juggalo favorite Stevie Stone and more! 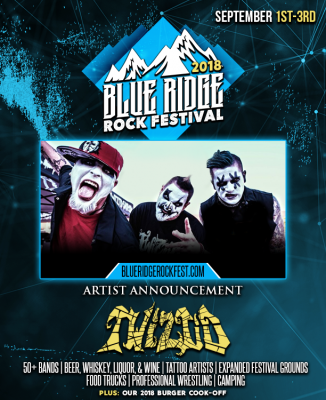 Hit up BlueRidgeRockFest.com for ticket information and more details.